Gabo, also known as Gabriel Bautista is a Wisconsin based Illustrator who has worked for Oni Press, DC Comics, and Image Comic. 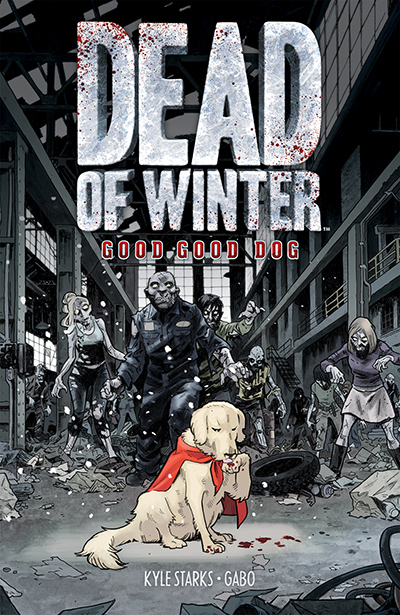 He is the artist for Dead of Winter (written by Kyle Starks) and The Life After (written by Joshua Hale Fialkov) which are both published by Oni Press. He is the series artist on the two time Harvey Nominated web series, AlbertTheAlien.com. You can also find his work in several award-winning anthologies: Love Is Love, Comic Book Tattoo, and Popgun Vol 2.On top of being a 2015 Russ Manning Promising Newcomer Award nominee, he is also an Eisner and Harvey award winning colorist for his work in Comic Book Tattoo (Image Comics), his color art can also be found in several issues of The Spirit and All-Star Western (DC Comics).